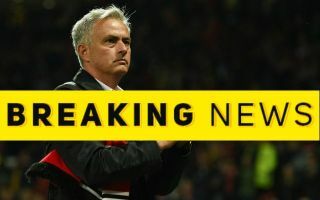 Manchester United manager Jose Mourinho has held talks with the representatives of two Juventus players over possible transfers to Old Trafford. The Red Devils boss is eager to make the most out of Juve’s interest in goalkeeper David de Gea, who is not going to sign a new contract with the club. The Spain international has also been linked with Paris Saint-Germain as he looks set for a transfer away, but Mourinho has his eyes on two Juventus players to potentially land as part of any deal that would see him move to Turin. CaughtOffside understands the Portuguese has opened talks over signing Paulo Dybala and Daniele Rugani to sound out if they’d have any interest in making the move to Manchester. It remains to be seen if MUFC can attract these two big names, but they’d be absolutely ideal to solve their current issues. Dybala could be a superb replacement for Alexis Sanchez in attack as he looks another player who could be on the move soon due to flopping spectacularly since joining from Arsenal. Rugani, meanwhile, is a classy young defender who’s also been targeted by Chelsea and who would undoubtedly be a big upgrade on struggling players like Chris Smalling and Eric Bailly.